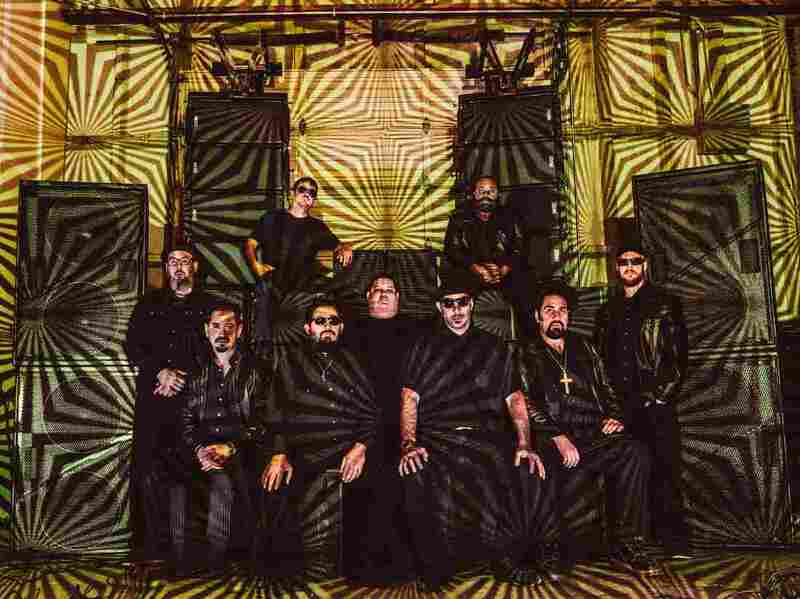 Review: Brownout, 'Brownout Presents Brown Sabbath' A Latin funk, Black Sabbath tribute reminds listeners of the timeless sound the iconic heavy metal band made, with horns, congas and attitude. Brownout's new album, Brownout Presents Brown Sabbath, comes out June 24. That long forgotten hippie record store clerk must have had quite a laugh at the goofy 13-year-old who was clueless about the burgeoning sound of heavy metal guitars. But once he convinced me that the album was not flawed and the guitars were supposed to sound like that I was hooked. So imagine the grin on my face when I heard the new album Brownout Presents Brown Sabbath, with the band's funky trombones duplicating Tony Iommi's iconic guitar riffs and vocalists David Jimenez, Alex Maas and Alex Marrero getting their Ozzy on. The record is the result of Brownout's residency at an Austin club where they devoted a week each to the repertoire of artists like James Brown and Black Sabbath to break the monotony of a long club gig. Audience response, not to mention the fun the band had on stage reworking Sabbath classics, led to a full-length album. The album is a reflection of the kind of cross-cultural life many Latinos in the U.S. live in, one where a 1970s English heavy metal prototype shares record shelf space with Latin music. Band leader Adrian Quezada told me that there was never any second guessing about whether or not this move was right for the band since they all had a personal history with Black Sabbath's albums. Mostly the album also speaks to the enduring vision of four young blokes from Birmingham, England who were obsessed with making the musical equivalent of horror films. However, in the hands of Brownout, the music becomes more of a celebration of the way that sound shaped the musical identity of so many of us.